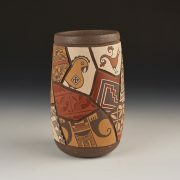 For this cylinder vase, Daryl has carved15 classic shards. 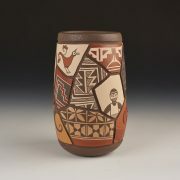 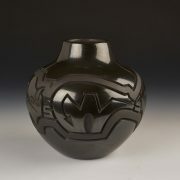 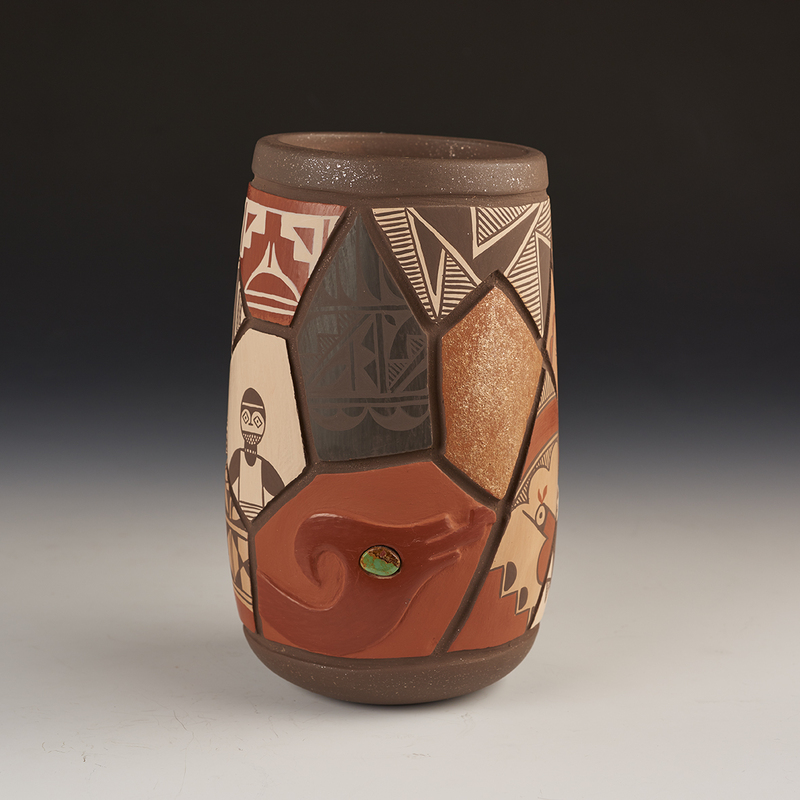 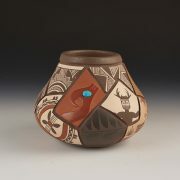 He has included styles of the contemporary Pueblos as well as shards from Chaco, Kayenta, Mimbres, and many more. Again, he has drawn a paper graphic of both sides, and numbered and named each shard, so you may trace the provenance.